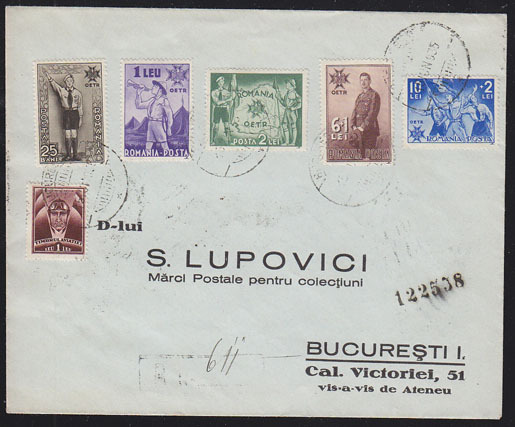 17023 L ROMANIA (1935) Scouts. 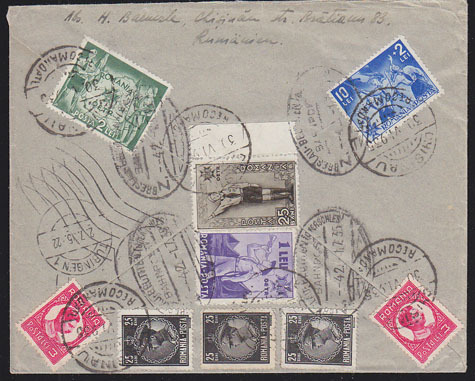 Registered letter franked with all of the 1935 scout semipostal stamps. Scott Nos B50-4. 9703 L ROMANIA (2003) Ducks*. 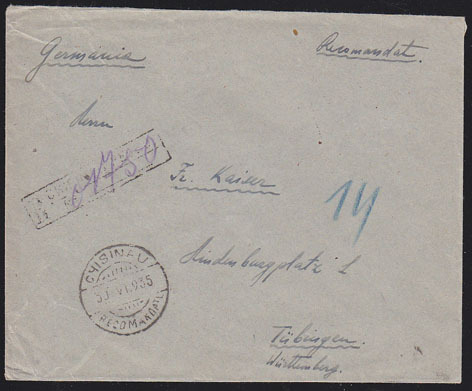 Registered airmail letter from Romania to India.